Join Dr. Linda and Ms. Leslie M.W. 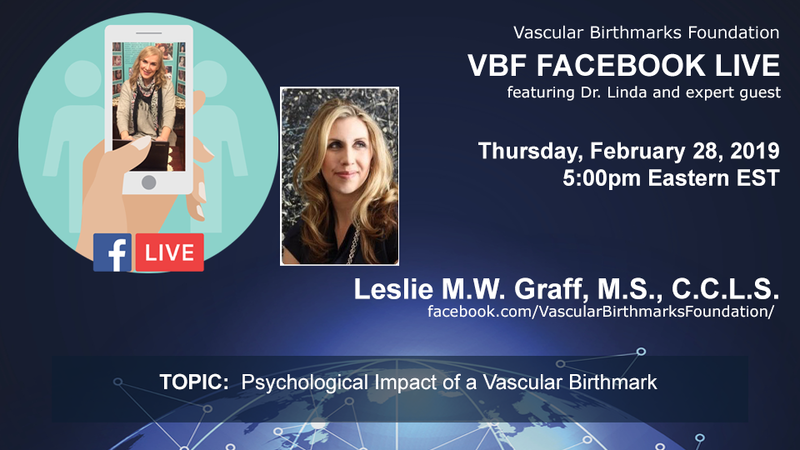 Graff for the next VBF Facebook Live session on the Psychological Impact of a Vascular Birthmarks on Thursday, February 28, 2019 at 5:00 PM EST. Get your questions answered in real time on Facebook by Dr. Linda and Ms. Graff. Don’t miss this opportunity to ask the expert!